Disclaimer: As a SweatPink Ambassador, I have the awesome opportunity to also be a prAna influencer. While I will receive clothing for review, I have not been compensated in nay other way! All opinions are my own! Friends! If you have been reading my blog for any length of time, you KNOW I am a HUGE fan of prAna. In fact, I am responsible for getting several people hooked on prAna including my dear husband - SD Dad! First and foremost, the discount code. Use code PFS16RSDM for 15% off anything on the prAna website thru 10/31. Second, I am going to show you two of my favorite pieces from the Fall collection. This is the Yarrah dress. (Retail: $119) This dress is adorable in this color. I can't even...with some leggings and boots for the fall? Splendid! Made from 100% Organic cotton.It is also Fair Trade Factory Certified, which I love. Stay tuned. I have ordered this one so you can see what it looks like on a "real" person! 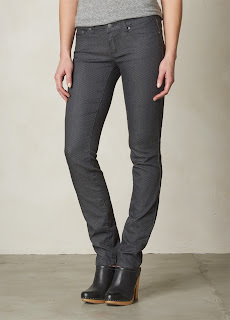 Next is the Kara Jean in Charcoal Dots. (Retail: $89) I love this new print. So much character! I already own the Kara Jean in Unwashed red, Cargo Green and Indigo. SO why not have a pair in charcoal dots? And check out these super cute looks posted by prAna on their Instagram page! Third, the contest! Enter to win $300 worth of prAna gear and a two-month supply of Organic Fuel from Organic Valley: Enter Now! There are six ways to play and 10 people will win. The contest runs from August 15 – 31st, 2016. Ten "weird" winners will get $300 in credit to use on prAna.com, a two-month supply of Organic Fuel and free swag! Like, follow and engage with the brands to earn up to 6 chances to win! Here was my #WeirdWorkout submission! So what are you waiting for? Go enter the contest! Go buy some prAna gear! 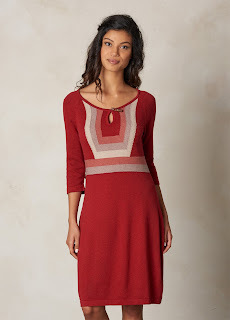 I have to say Prana hit it out of the park with their fall collection. I can vouch for this Kara jeans. They are my go-to pants! I'm loving all of these Prana posts they are so fun! I got the cutest prAna top EVER on clearance at my local sporting goods store. It was totally by chance, too, but I'm obsessed with it and I wear it every chance I get! Oh no! Did you try it all in the same font? PFS16RSDM all upper case like this?